The Vintage T-back is made out of a soft and comfortable cotton jersey fabric. It has a massive print across the front, a vertical print along the sides and two smaller logos at the back just below the traps area. It has a classic T-back cut and a loose fit. 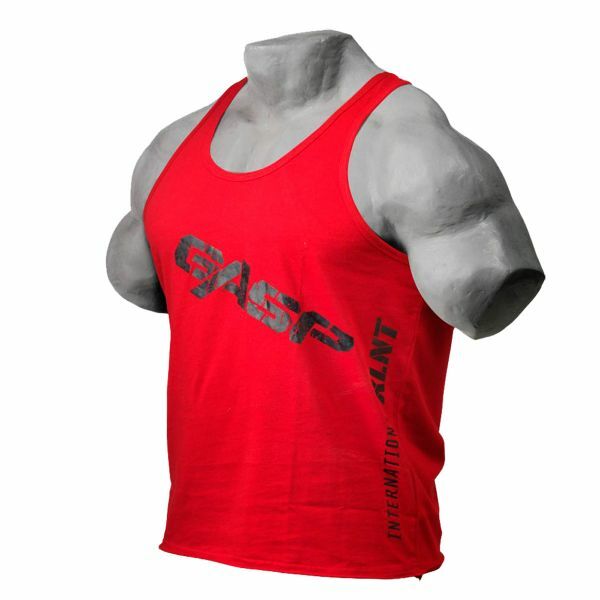 Weiterführende Links zu "Gasp - Vintage T-Back Tank Top, chili red"
Kundenbewertungen für "Gasp - Vintage T-Back Tank Top, chili red"